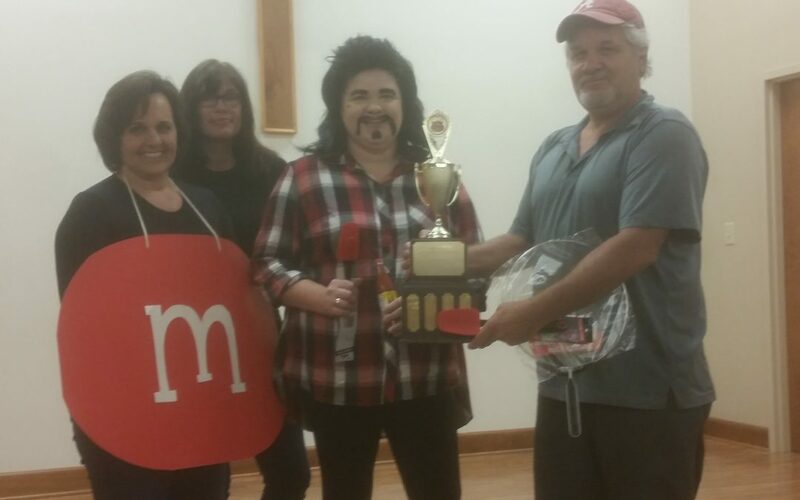 Thanks to everyone who attended tonight’s Chili Cook-off & Costume Contest! Here are the results. 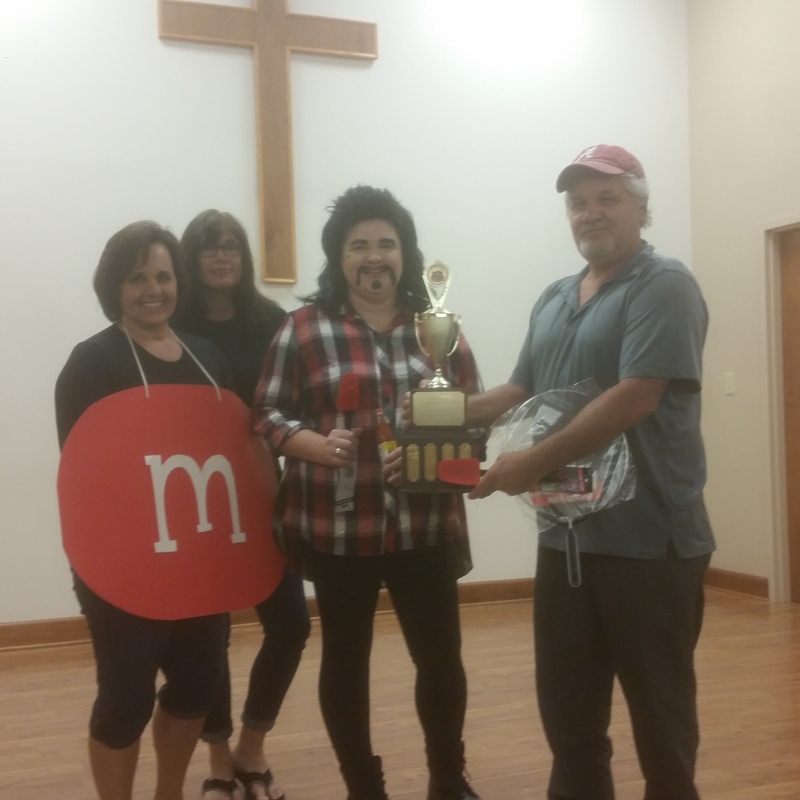 Cheryl B, Muriel I. Mistie S. & Matt D.
This year’s Chili Cook-off winner for Best Chili was Matt DeMarsh. Second place went to Dan Byers, third place to Muriel Irvin. Hottest Chili was awarded to Mistie Sutko. Special thanks to Cheryl Rydbom & Greg Kilby for setting up the decorations and to Dan Byers for serving as emcee. Thanks also to Sarah Walker and the Jr. Youth who led the children’s games.